One box with something for everyone! 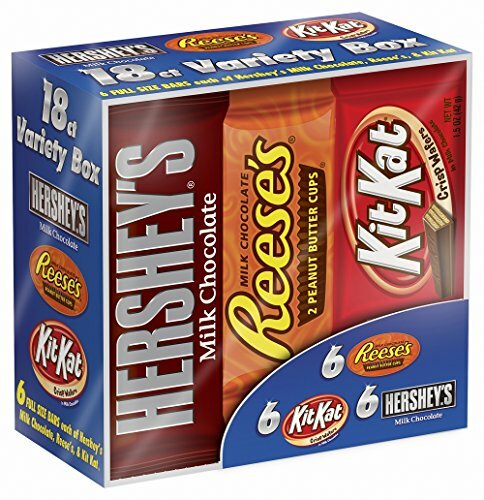 Choose from HERSHEY'S Milk Chocolate Bars, REESE'S Peanut Butter Cups, or KIT KAT Crisp Wafer Bars. This variety pack also makes a delicious gift!